You're an architect who comes from a family of builders. Those two professions don't always get along. Did having a foot in both camps help you? My father told me, "Why ever would you want to be an architect? You can be a builder!" A builder is like a little god, somebody who does things, doesn't just draw things. Since then, I've never betrayed the idea that architecture starts with construction. Architecture is the art of making good, solid, safe buildings for humans. The difference between a builder and an architect is that an architect also cares about desire, about dreams. You have built buildings in almost every major U.S. city and around the world. What is the most surprising difference between building in Europe and in the U.S.? The energy and optimism. I love Europe, I'm Italian, I live in Paris. But cities in Europe almost lack energy. This country is young. It's open  for example, with technology. We are making buildings here where some pieces come from Germany, some from South America, some from Japan. We only knew about two. ... he died in Penn Station, nearly bankrupt. William Van Alen's career was derailed by the Chrysler Building. Then there's crazy, womanizing Frank Lloyd Wright. Are great architects tragic or nuts? There is something about giving everything to your profession. In Italian, an obsession is not necessarily negative. It's the art of putting all your energy into one thing; it's the art of transforming even what you eat for lunch into architecture. It's a stubbornness. But it's a kind of sublime stubbornness. Without it, you never get certain things. Architecture is a very dangerous job. If a writer makes a bad book, eh, people don't read it. But if you make bad architecture, you impose ugliness on a place for a hundred years. You're famous for the way you manipulate light. Is that one of your obsessions? I have no idea. But growing up by the sea, you get an idea of the infinite surface of the world, and you grow up with a number of desires. One is to run away. And I did. The other one is for light. Light is probably the most untouchable, immaterial material of architecture. I have another obsession: fighting gravity. In the sea, everything floats. What's the first thing that comes to your mind when I say these words: public housing? It's my dream. You grow up with this idea that you can change the world. And where do you start? Public housing. But people don't really ask me for that. You know, it's not true that to make good buildings, you have to make expensive buildings. I never really loved them. To kill people by making them work so hard just to celebrate one man? I admire them, but with a kind of sadness. A sadder mamma mia. He set a terrible example. Italy is not a selfish country. He oxygenated the worst part of Italy. This isn't about right or left, it's about morality. It's not just the ladies. It's the corruption, the selfishness. Finally, what could any person do to any average home to make it a better place to live? Throw away some of the furniture, paint everything white, clean the windows and see if you can make them wider. It's about luminosity. 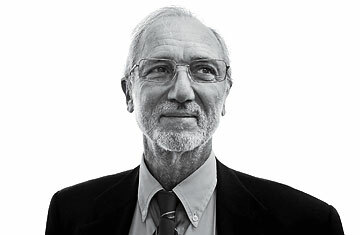 See Renzo Piano in the 2010 TIME 100 poll. See "A Talk with Renzo Piano.